Home » fashion » bags » Bag the Bag!! Our Royal Wedding Contest continues this week. Enter by Friday for a chance to win this fabulous Joanna Lhuillier bag, whose work I profiled last week. In case you missed it, the contest is to furnish Kate and Williams new home with pieces chosen from the brands at von Hemert Interiors, the store who inspired our game with their incredible upcoming Royal Wedding event. Go to von Hemert’s site to pick furnishings from the following collections: Baker, Century, Hickory Chair and Theodore Alexander (on 2nd page). Copy the link for your pick(s). Click here to like von Hemert’s facebook page. Paste the link for your piece with a comment telling why you think it’s the right piece for the royal couple. 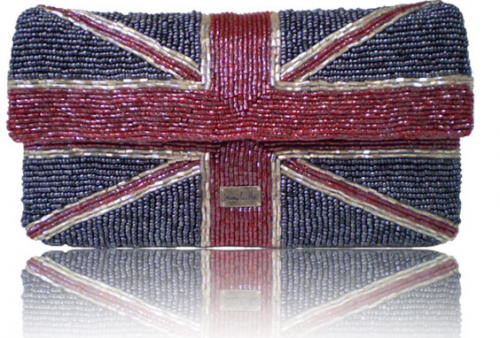 On Friday we (Brit blogger Arianna and I) will announce the winner!! This entry posted in bags, fashion, furniture, games, interior design. Entry Tags: Baker Furniture, Hickory Chair, Joanna Lhuillier, Royal Wedding, Theodore Alexander, Von Hemert Interiors Bookmark the permalink. 2 Responses to Bag the Bag!! What a fabulous opportunity! Lucky for everyone else, this is far too complicated for me, so I am out of the running. I shall forever be envious of the brilliant woman who gets to carry that gorgeous bag about!! Aahh it is a lovely piece and good luck to everyone!